April 23rd is marked by UNESCO as World Book and Copyright Day (or just World Book Day). If you live in Australia like me, you might not have heard of it as it falls close to ANZAC Day and isn’t widely recognised here, although this might be changing. In the United Kingdom and Ireland World Book Day is celebrated in March. OK. So that’s one excuse to write a post about books and reading. 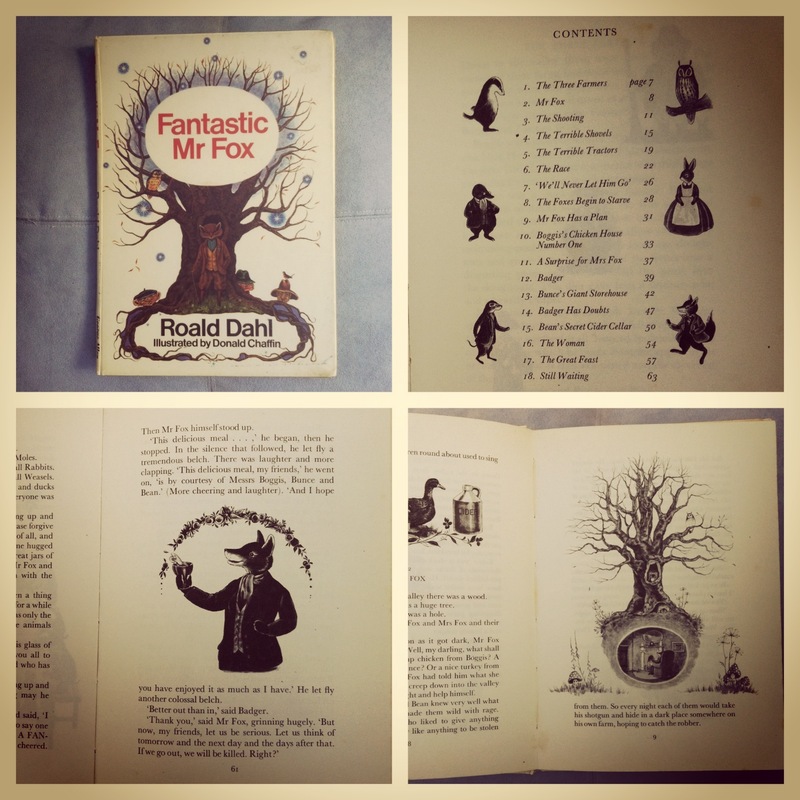 Actually, I really wanted to share my recent exciting Vinnies’ find: a forty-year-old (yes, vintage) edition of Fantastic Mr Fox, by Roald Dahl! I was drawn to it not only by the words ‘Roald’ and ‘Dahl’ but also by the absence of the words ‘Quentin’ and ‘Blake’. This early edition is adorned with some very quaint, detailed drawings by a fellow named Donald Chaffin, rather than the suitably rough sketches by Quentin Blake that most of us immediately associate with Roald Dahl books. At only $3, of course I had to buy it! 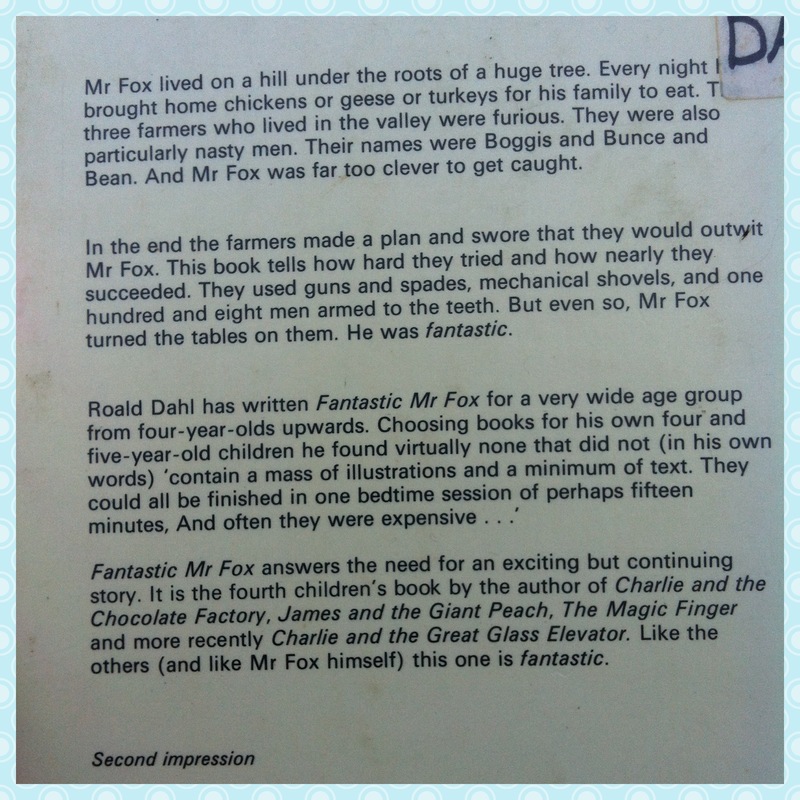 My kids haven’t met Mr Dahl yet, but Roald is the author who dominates my favourite childhood books list. Reading a good book is one of life’s little pleasures…and luxuries (especially as a caretaker of young children)! 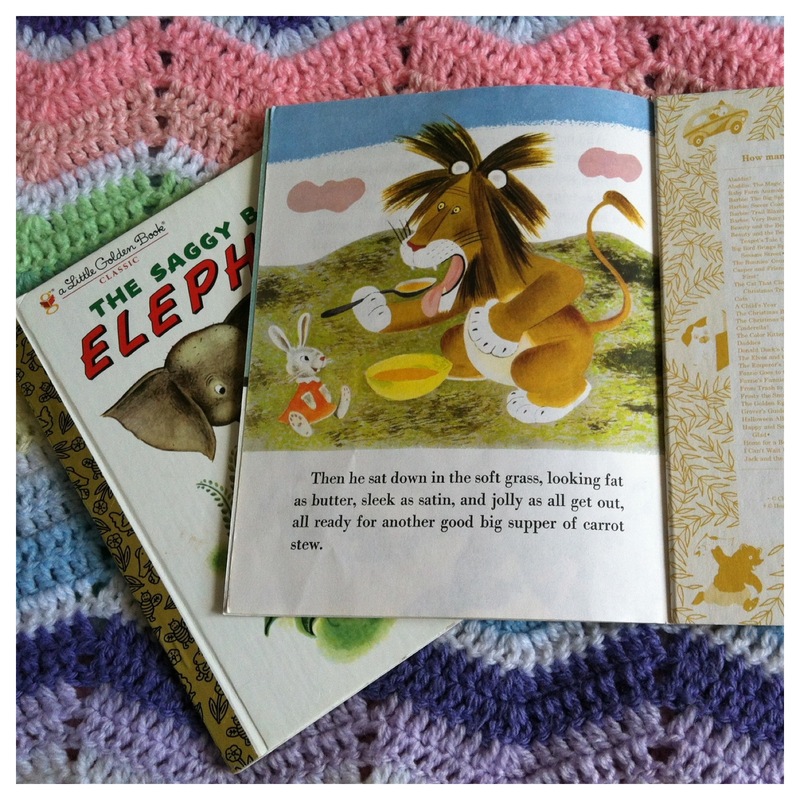 How I could return to my childhood in an instant…snuggled under a granny rug by the fire, completely absorbed in the pages in front of me. I think I was born loving books. I grew up in a world where books were part of daily life. For a long time my family didn’t have a telly. We didn’t have computer games. But we were never short on books. Developing a love of books is a wonderful gift that parents can give to their kids. Miss L at age four, already lists reading as one of her favourite past-times even though she can’t properly read yet! Through being read to since she was a newborn, observing Mummy and Daddy being absorbed by print on a page, visiting the local library for story-time and borrowing, noticing that Mummy loves buying books, being read to every night at bed-time and being surrounded by books at home, Miss L is already a passionate book lover. Master J at one, is following suit. – Buy second-hand books. Search your local charity stores, garage sales, second-hand book sellers, ebay and other online bookshops. – Buy new books printed on sustainably sourced paper (via an accredited body such as the Forestry Stewardship Council or Programme for the Endorsement of Forest Certification – look for a logo FSC, PEFC, etc ). 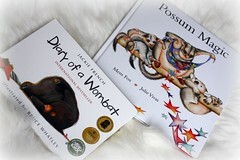 – If you have a tablet or e-reader, buy e-books (for kids books though, you can’t beat the real thing). These are incredibly handy as you can carry dozens of books wherever you go. There are some excellent sources of information about how to read to kids, how to help kids learn to read and how to develop a love of reading. I particularly love what Mem Fox has to say here and in her book Reading Magic. Jackie French, another Aussie favourite, provides some very sound advice here. And in this book which I borrowed from my local library, Jo Jackson King, gives parents excellent expert advice from an occupational therapy point of view (I can highly recommend this as a general book for parents of 0-7-year-olds; it’s not just about reading). 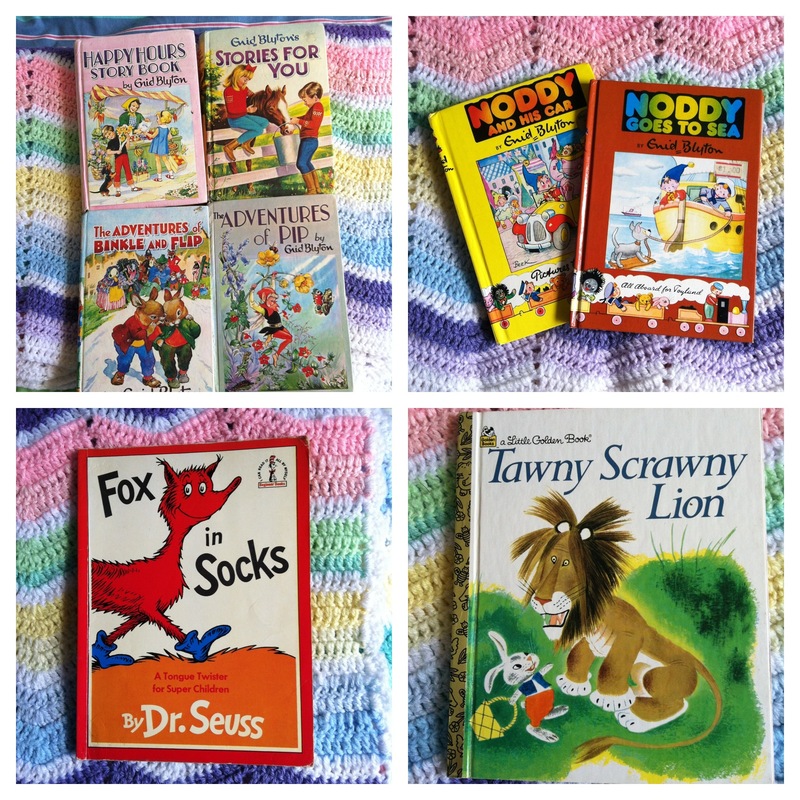 – The Magic Faraway Tree series, The Wishing Chair series, Noddy and Toyland – anything by Enid Blyton is a winner in our household…and Mummy and Daddy are entertained by her too! – Winnie the Pooh by A.A. Milne (we love listening to this brilliant audio version too). – Fox in Socks – Dr Seuss is oh so clever (we love them all)! What are your family’s favourite books? Who was your favourite author as a child? Did you like Roald too?